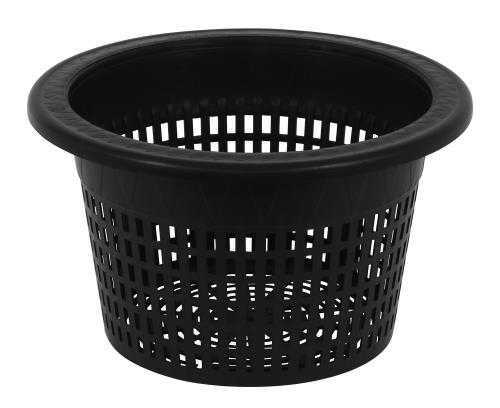 These heavy duty 6 in, 8 in, and 10 in plastic pots are designed specifically to snugly fit on standard 3.5 and 5 gallon buckets. They are mesh on the sides and bottom for maximum aeration. They work great in all hydroponic applications. Much-better quality than competitive bucket lids.